The worldwide rapid construction of fluctuating renewable energy sources, such as wind and solar energy, has created an increasing demand for storing large quantities of energy. To sustain an uninterrupted supply of energy in a grid system dominated by renewable energy sources, there must be substantially larger storage capabilities than available today to cover long periods of little or no wind, and reduced periods of sunshine. 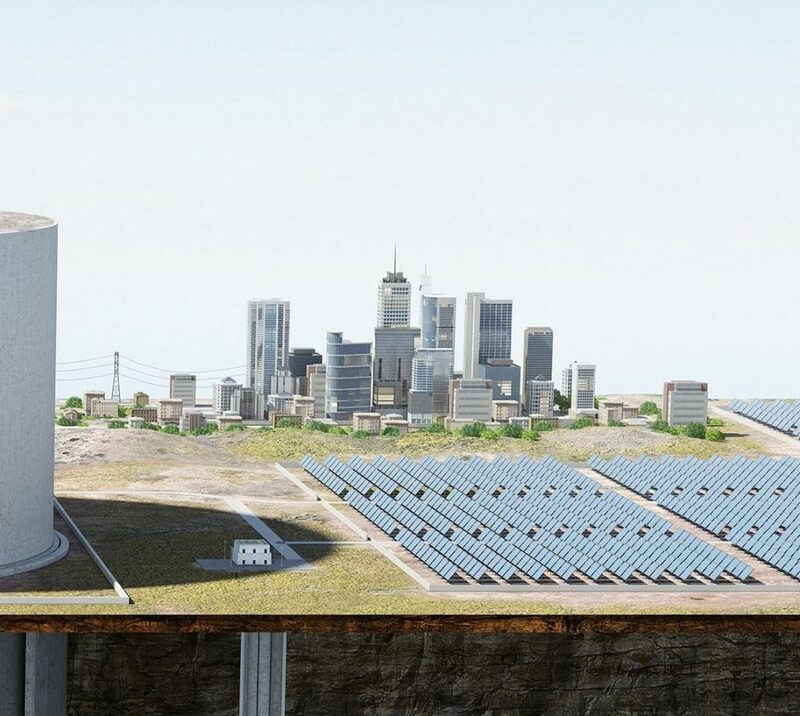 Simple, clever and durable: The technical concept of Gravity Storage uses the gravitational power of a huge mass of rock and reaches a storage capacity between 1 and 10 GWh. Learn more about the unrivaled economic concept, which will to be one of the cheapest ways to store huge amounts of electricity and turn renewable into a reliable 24/7-source of energy. Heindl Energy is a German technology company, focused solely on the development of Gravity Storage. Get to know us and our partners. Gravity Storage is a concept with which unprecedentedly large quantities of power can be stored for a long time of 6-14 hours, and can be made available again. The fundamental principle is based on the hydraulic lifting of a large rock mass. Using electrical pumps, as already used today in pumped storage power plants, water is pumped beneath a movable rock piston, thereby lifting the rock mass. During times of insufficient generation of renewable power, the water which is under high pressure from the rock mass, is routed to a turbine, as in conventional hydroelectric plants, and generates electricity using a generator. The capacity of energy storage reaches 8 GWh or more, comparable to large Pumped Hydro Storage. The rock piston should have a diameter of at least 100 meters in order to be competitive with pumped storage power plants. The real costs will vary for each site. But we calculate with costs of about 200 USD/kWh capacity at a size of 250-meter diameter. 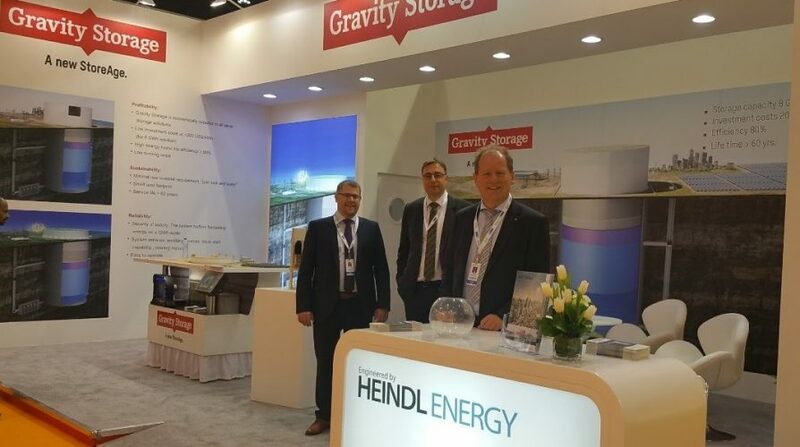 Heindl Energy GmbH is part of Gravity Storage Group, led by U.S. based Gravity Storage Inc. Its mission is to transform the world’s energy storage landscape, paving the way towards a sustainable, clean power supply. By solving the energy storage challenge in this way, we aim to support the development of reliable power supply systems that are 100% based on production from renewable sources. The concept of Gravity Storage was invented by Professor Eduard Heindl and has since then been continually developed by the Stuttgart-based company Heindl Energy GmbH, supported by a team of civil engineering, geology, mining and geophysics specialists.